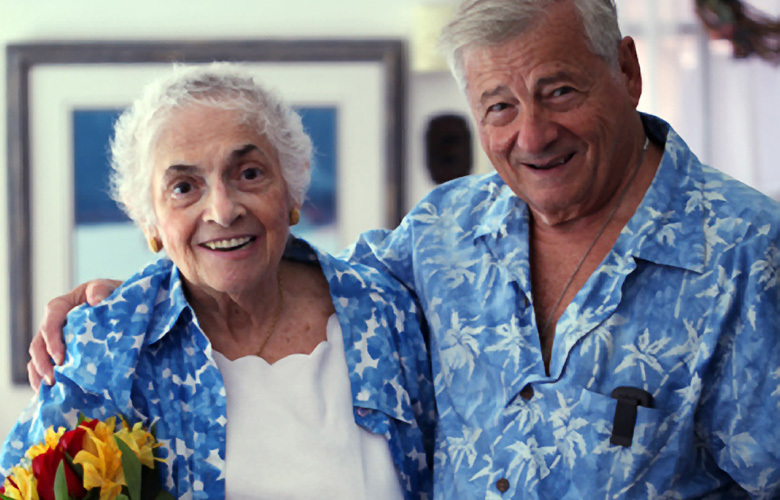 Rita Schiavone, founder of Aid for Friends, with her husband. Rita Schiavone didn’t set out to fix the hunger problem. She set out to make a difference for a person at a time. Rita’s work inspired her kids. All of her kids give back to the community. Rita’s work also inspired her friends and her church. They joined Rita’s efforts to provide food to the elderly. Over time other churches joined, and Rita’s movement grew into a nonprofit, Aid for Friends. Rita set out to help one person, and if that was all she did, it would have been wonderful. Yet, how amazing that what she began 40 years ago has grown so much. 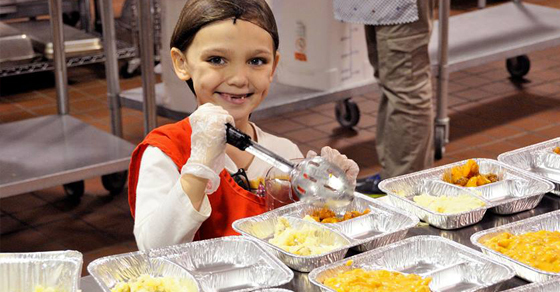 Today, Aid for Friends has 16,000 volunteers who provide 400,000 meals a year and over 100,000 visits a year to 2,200 elderly people who are hungry and alone. It all started with one meal. A volunteer works in the Aid For Friends kitchen. Aid for Friends provides meals, companionship and other assistance to help seniors live in their homes and live fuller lives. They’re celebrating their 40-year anniversary. Happy Birthday! If you want to make a difference, here are 98 thoughtful Acts of Kindness you can consider. Who knows where your small act might lead. For ideas for raising generous and grateful kids, see 25 Random Acts of Kindness for Kids.